College always takes an adjustment period, but sometimes you just know if a place isn’t for you. Thinking about switching schools? To make the transfer process a smooth and easy transition, we recommend syncing up with a transfer admissions counselor at the college you're considering to make sure you get all the answers you need. Here are some questions to ask. How many of my credits will be transferred? Depending on how long you’ve been in school for, you may have racked up quite a few credits that you don’t want to lose—but each school differs on how many credits they accept. Knowing how many credits would transfer can tell you if you have to retake a class, or if your timeline for graduating would change. What do I need to send in to complete my application? Transfer applications have some added steps from the regular freshman admissions process, so you’ll want to make sure you’re not missing anything. For example, you’ll need a copy of your current school’s transcript to give the admissions team a better gauge on where you would fit in their school’s curricula. Are there any scholarships available for transfer students? If you’re looking at your new school’s financial aid options, don’t forget to seek out scholarships specifically for transfers. 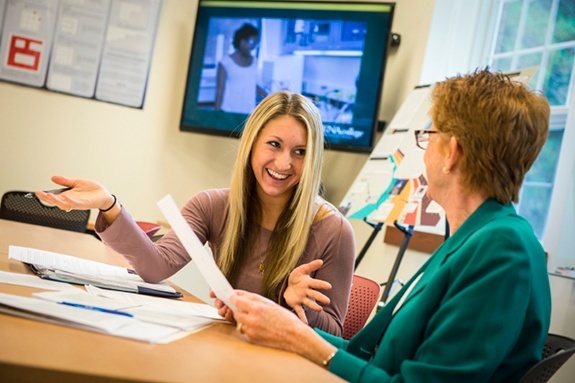 At Siena, for example, not only are you eligible for financial aid, but we also offer two scholarships—a Franciscan Transfer Scholarship and a Siena College Phi Theta Scholarship—for transfer students in excellent academic standing. How many transfer students enroll in your school each year? Nervous about being the new kid in town? Find out how many other students typically transfer in each year. Chances are, since research shows that more than a third of college students transfer, you'll be in good company. How are transfer students made to feel part of the community? Wherever you choose to transfer to, you'll no doubt want to feel at home quickly. See if there are any transfer student activities or programs you can attend (like Siena’s transfer student orientation) that encourage transfers to meet their peers, get to know their new school better and feel like they belong from day one. And on that note, if you are looking to become a Saint, I invite you to get in touch me (the transfer counselor here!) or even apply today. We’ll notify you of our decision within 10 business days of receiving your application. Hope to hear from you!